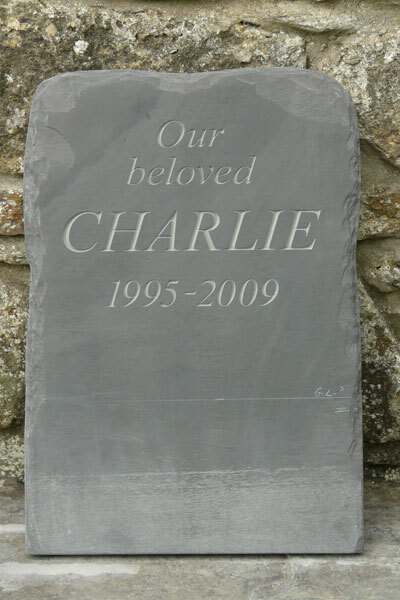 Designer/makers of high quality Welsh slate pet and animal memorials and headstones. 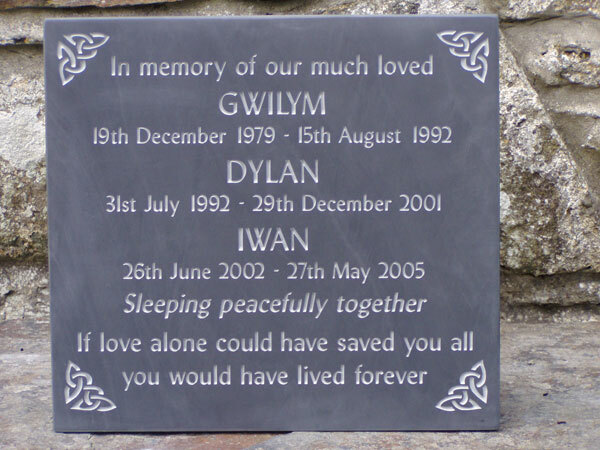 At the Slate Workshop we only use Welsh slate. 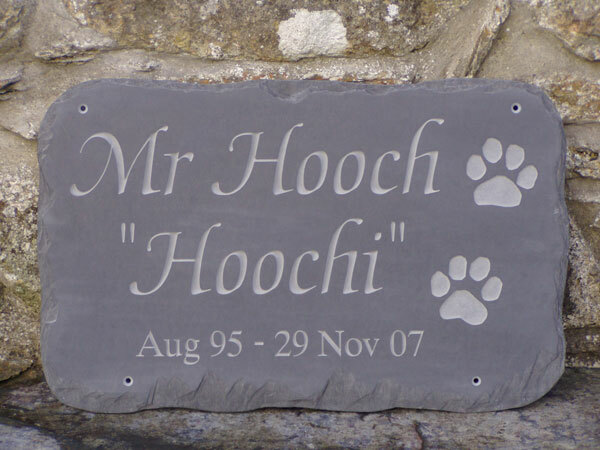 Most of our artwork is hand drawn and hand engraved and we work with the family to ensure the memorial provides a pleasing tribute to the family pet. See testimonials and see our clients’ comments. Click on each picture to enlarge. These photos are of Richard & Fran Boultbee's past work, and are for reference only. 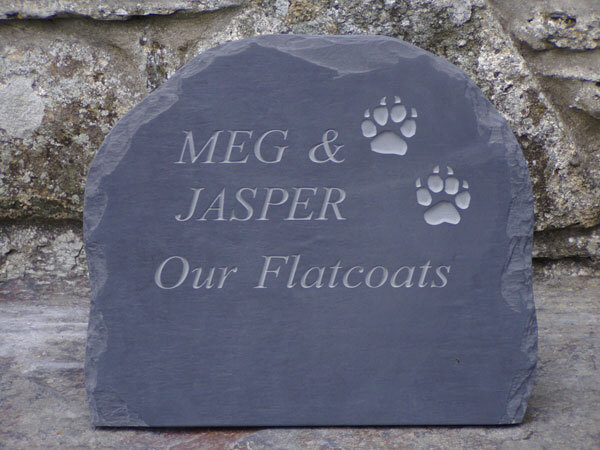 Prices for slate pet and animal memorials depend on size, shape and number of letters and/or size slate required. Hand cut lettering takes much longer to do and so is more expensive, as is gold leaf compared to paint finishes. 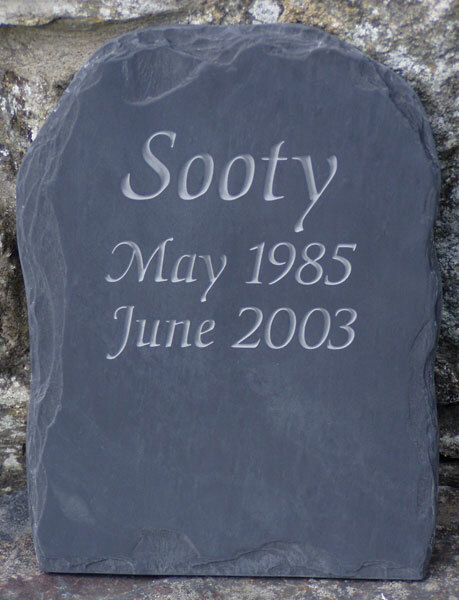 Shaping the slate takes time, so the simplest option of a straight rectangle will be cheaper than a chipped oval, for example. We like to work closely with our clients- each piece is treated individually - so we don’t have standardised order forms. 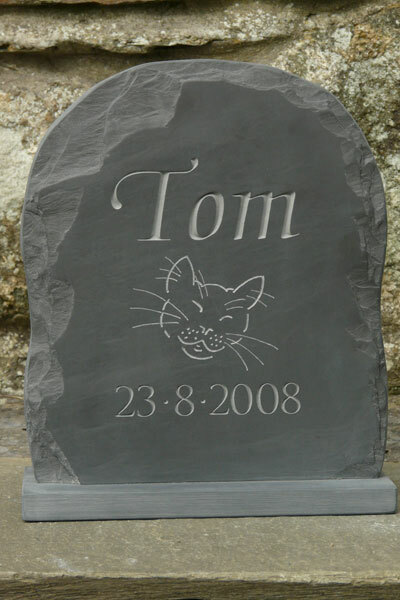 Please contact us to discuss your requirements and we can then give you a price and delivery date for your order.